In Storyboard Pro, you can efficiently update the caption text in your project. If you generate a *.csv sheet (comma separated values) from your project, you can update the file, then import it into Storyboard Pro. Doing so will update all caption fields automatically. You must first generate the CSV from your current project. Make sure your caption fields are up to date, and save your project. 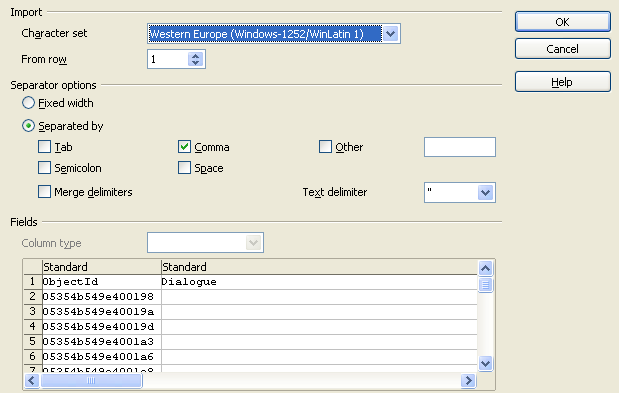 The Export to CSV dialog opens. Once you have generated the CSV, you can update your spreadsheet if there are major changes, such as the dialogue. Working this way allows you to import the updated CSV into Storyboard Pro to update all caption fields. When you open the *.csv file in your spreadsheet application, select the field separator you used (i.e. : a comma). The heading of each column contains the name of the caption field. Use this to determine where to add your caption updates. Find the captions you need to modify within the *.csv file. When you are finished, save and close your file. Open the Storyboard Pro project you want to update. 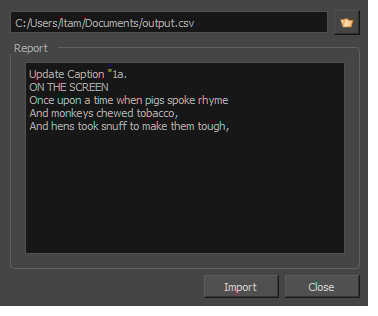 Select File > Update Captions from CSV. The Import CSV window opens. Browse to the folder that contains your *.csv file, select it, and click Import. In the Report section, notice which caption fields were updated. 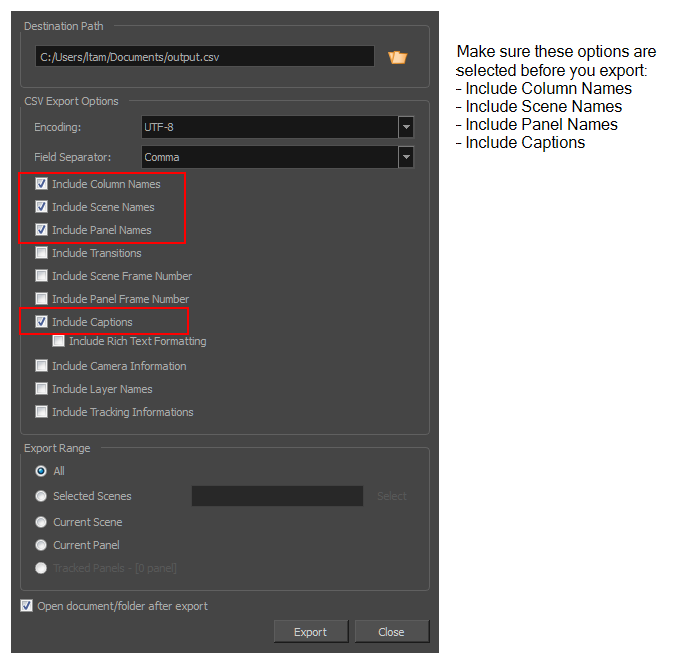 Any captions you modify in the *.csv file are also updated in the caption fields of your Storyboard Pro project.CSV files exported from Storyboard Pro are UTF-8. CSV files can be modified in Microsoft Excel if all the characters are part of the Latin character set. If non-Latin characters are used, the CSV files can be edited using Open Office.CSV files exported from Storyboard Pro can be edited in either Microsoft Excel or Open Office. Excel does not display non-English characters properly and will not recognize them when importing to Storyboard Pro.